In addition to the complexities that may apply to a particular immigration case, part of the stress of going through any type of immigration or deportation case also comes from not knowing what to do and what not to do right now and from not fully knowing the law and the process that may apply to your immigration or deportation case. Additionally, your future and the future of your family may be at stake. All of these issues can make you feel overwhelmed, especially if you have not consulted in depth with a knowledgeable lawyer like attorney Acevedo. We can help you. * We will go over all of the issues that are of concern to you with you; our consultations are one full hour to give us enough time to do exactly that. * We will outline the best course of action for you based on the specific circumstances of your immigration situation. * We will schedule your consultation for the same day you call, if possible. You should not have to face an immigration situation alone and without the legal help and the legal advice of a knowledgeable immigration lawyer like attorney Acevedo. You should know what steps you should take and what steps you need to avoid based on your particular and individual immigration circumstances to maximize your chances of a positive outcome. Call attorney Acevedo today to schedule a complete, one hour, in person, confidential immigration consultation, and to learn more about how the immigration laws may apply to you. decision that should not be based solely upon advertisements. Before you decide, ask us to send you free written information about our qualifications and experience. United States Citizenship and Immigration Services (USCIS) is the federal government agency that oversees lawful immigration to the United States. As such, USCIS processes all types of applications and petitions related to different kinds of immigration issues. Because there are so many different kinds of immigration issues, federal immigration law is extensive, and there are many different "rules" that may apply to your immigration case depending on you, your background, your circumstances, and your type of immigration case. Unfortunately, all of this can make going through an immigration case very stressful for all those involved. The Law Offices of J. Manuel Acevedo, P.A., are located at 116 North Park Avenue in Sanford, Florida, 32771. Azalea Park, Winter Park, Mount Dora, Tavares, and Eustis. If you will be filing an immigration application or petition with USCIS, you are entitled to be represented by an immigration lawyer under most circumstances. Having an immigration lawyer can be very helpful because an immigration lawyer can analyze the immigration statutes and the immigration regulations that apply to your case and can help you maximize the chances of success. Similarly, you are entitled to be represented by a deportation defense lawyer in removal or deportation proceedings before the Immigration Court. And, you are entitled to be represented by an immigration attorney for any deportation appeals filed with the Board of Immigration Appeals or the Federal Courts. Needless to say, having a knowledgeable deportation lawyer represent you before the Immigration Court may be critical. In addition to helping you present your deportation defense, a deportation lawyer will help you explore the different avenues of relief from deportation that may be available to you depending on your particular immigration situation. Also, in some cases, an immigration lawyer may help you avoid filing something because of the potential negative consequences that may apply to your immigration situation. And, if your case has already been filed, an immigration attorney can help you prepare responses to any requests for evidence and an immigration attorney can help guide you regarding any interviews that may be scheduled in your immigration case. Los casos de inmigración a Orlando y de deportación pueden ser sumamente complicados. Si usted tiene preguntas legales o dudas con referencia a su estatus de inmigración en Orlando, debe consultar con un abogado de inmigración del area de Orlando, o abogado de defensa a la deportación, como el abogado Acevedo. Como abogado de inmigración que le ofrece servicios legales a la comunidad de Orlando, el abogado Acevedo lo puede asistir con la preparación de su caso de inmigración de Orlando y representarlo ante la agencia de USCIS en Orlando, la Corte de Inmigración en Orlando, y la Junta de Apelaciones de Inmigración. Llame al abogado Acevedo hoy y cordine su cita con un abogado de inmigración a Orlando, y abogado de defensa a la deportación, que habla su idioma. 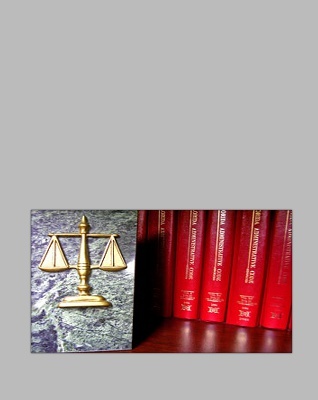 Copyright © 2011-2013 Law Offices of J. Manuel Acevedo, P.A. And if things do not go well, a person could end up in deportation proceedings. The Executive Office for Immigration Review (EOIR) is the federal government agency that is in charge of the Immigration Courts. And, EOIR is also in charge of the Board of Immigration Appeals which decides deportation appeals and some types of appeals from denials by USCIS. Obviously, going through a deportation case or waiting on immigration appeals can also be tremendously stressful.